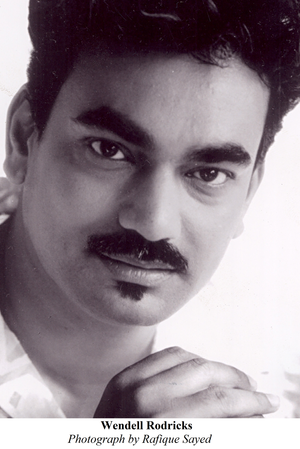 Who among us has not heard of Wendell Rodricks?! The man is a revolution by himself. If Goa has a presence in the international fashion scene, it is due to this innovative fashion designer. But his claim to fame lies not in just his creative genius. This resident of Colvale, Goa, having made his mark at prestigious fashion events such as IGEDO in Germany (1995), Dubai Fashion Week (2001) Paris Pret-a-Porter salon (2007) and the world’s biggest organic fair BioFach in Nuremberg, Germany (2012), has shown abundantly his leanings towards philanthropy. His activism in support of social, environmental and cultural causes is well known. He has donated the proceeds of an entire collection to the Kasturba Gandhi Trust in the effort to promote khadi in Goa. He has also revived the weaving of kunbi saris and established the Eco Goa Room at Wendell Rodricks Design Space which has garments with only natural dyes. All these endeavours have ushered in accolades galore, but among Rodricks’ most outstanding achievements there is one that seemingly puts the others in the shade. His Visionnaire collection has made history by being the first collection of clothes with Braille writing designed especially for the blind. We travel back to 2001 when the Visionnaire collection was brought out. It was Meher Castelino who set the process in motion by asking Rodricks to meet with a certain Professor Acharya of the Worli Institute for the Blind, Mumbai. Professor Acharya had initially approached Castelino to produce designer clothing with Braille on it. Castelino passed the baton on to Rodricks. Fascinated by the blind teacher’s ability to go through the motions of daily life, surmounting his visually challenged status, Rodricks soon learned that it was not all smooth sailing for Professor Acharya. While they chatted in the professor’s suburban home, Rodricks was informed that the man had to face a forty minute ordeal every day of his life in choosing the combination of clothes he desired. Since he had his sight when he was young he was well acquainted with colours. If he wanted to wear a blue shirt with grey trousers, he would pull out shirt after shirt asking his wife if it was blue in colour. The same trend would follow where the trousers and socks were concerned leading to a complete disarray of clothes. ‘I was aghast that he endured this every single day,’ says Rodricks. He left the professor intent on easing his predicament. The professor had asked for T-shirts with Braille in bright colours. But Rodricks dismissed the idea. Although he had knowledge of the psychological effect of colours on people, the visually impaired could not possibly avail of that impact as they would never see the vivid colours. He hit upon the idea of writing the colour in Braille on the T-shirts so that they could read the colour and thereby easily select a piece of clothing with the colour of their choice. From Caritas, a charitable organisation in Goa, Rodricks obtained a page of the Braille alphabet with the corresponding letters of the Roman script alphabet. He went about creating his collection with fabrics such as linen and silk. French knots or alternately seed pearls were used to recreate the Braille alphabet on the fabric. This also doubled as an embellishment. It was quite a task getting it right, making the letters the exact Braille size to enable the visually impaired to feel them with the ball of the fingertip and thus read the Braille letters easily. It took six months of experimentation to achieve the desired end. Finally, when they showed the collection with Professor Acharya at the Ensemble store, there were tears all around. Rodricks was hit by a huge wave of media attention. He, however, says, ‘I did Visionnaire to help the visually challenged. I did not realise that this was a unique news story. In fact I was surprised that no one in the world had put their mind to it since Helen Keller.’ The dearth of social media at the time did not prevent the story from becoming international news. ‘By the next week I was on French television and getting calls from American newspapers and magazine,’ he says. Rodricks may not have continued with the Visionnaire relationship but his pioneering work has tempered the decision to make Braille compulsory on garments made for the visually impaired. It is an easy process. It is just a matter of using French knots or pearls.